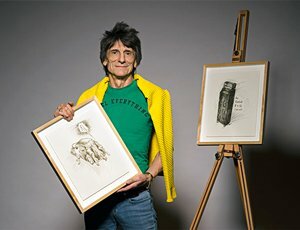 Ronnie Wood has created a series of new drawings inspired by the content of his recently discovered 1965 diary. Eight are available as individual signed artworks. Your choice of artwork from the HOW CAN IT BE? Portfolio can be ordered either framed or unframed. 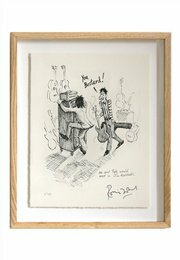 Each is signed by Ronnie Wood. A numbered certificate, signed by the publishers, is also included.